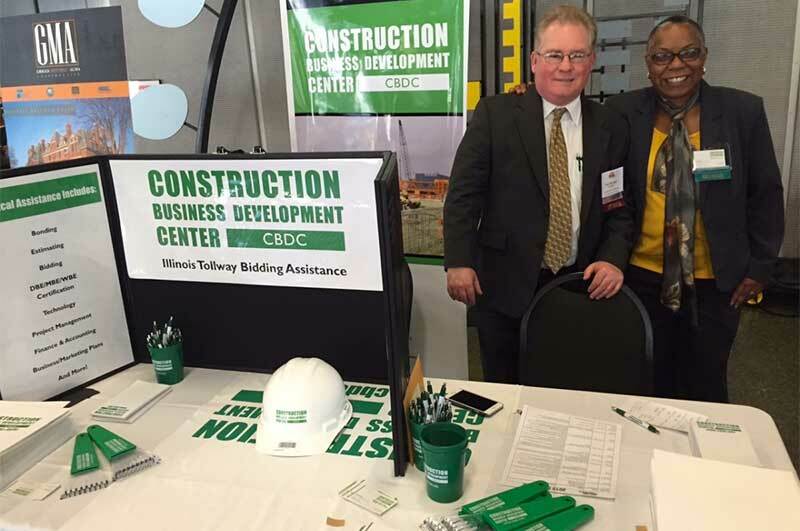 The Construction Business Development Center was established in 2013 to assist small construction related businesses that would like to do business with the Illinois Tollway. We offer a vast range of resources to construction firms–at no cost to the business owner. Our offices are located on the campuses of Prairie State College in Chicago Heights and Rock Valley College in Rockford, Illinois. We have access to the educational resources at both colleges and can offer campus-based training courses to our clients. The Illinois Tollway Technical Assistance Program is a free service that offers resources and training to owners of construction firms. Its purpose is to ensure that business of all types and sizes have the opportunity to participate in the Tollway’s construction projects. The CBDC is proud to be the original authorized provider of technical assistance for companies that want to do business with the Illinois Tollway. Are you eligible for free technical assistance for your business?